12 Chololate Date bars. You get 12 of each flavor, 36 Bars Total. There’s no need to pick a favorite when you choose a Variety Pack. 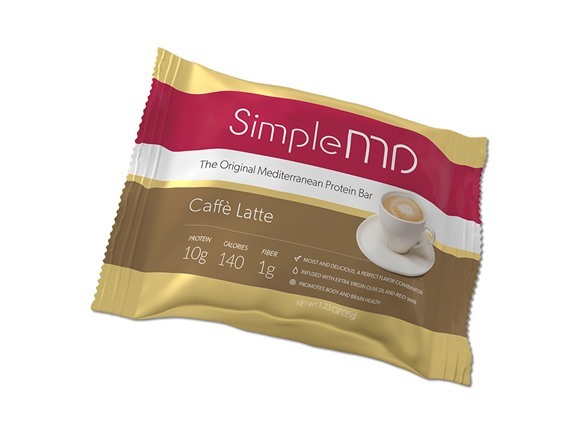 Every box comes with four Chocolate Almond, four Caffe Latte, and four Chocolate Date Original Mediterranean Protein Bars. Each 35 gram bar has a distinctive flavor and is loaded with protein and fiber, while weighing in at less than 140 calories. 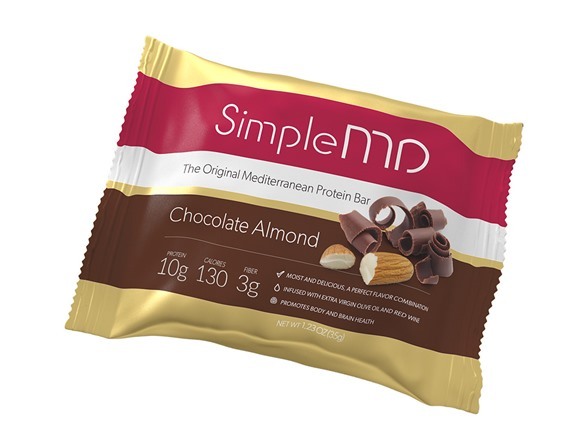 No matter which bar you grab as a snack or meal replacement, you’re sure to be satisfied. Our most popular flavor; you won’t believe how delicious a protein bar can be. 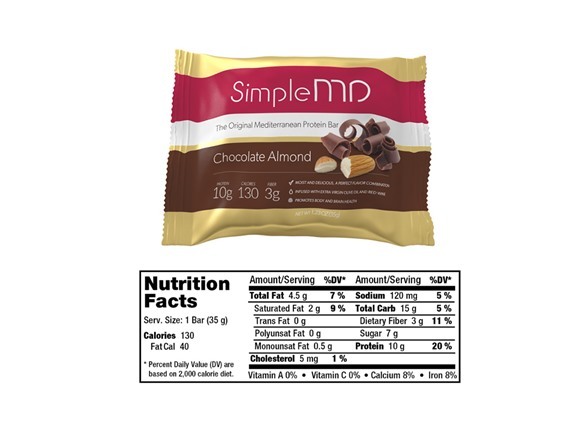 Chocolate Almond makes it easy to adopt or stick with your Mediterranean health regimen. Like all of our bars, it is infused with extra virgin olive oil and red wine. Chocolate and almonds team up to deliver a flavor experience that will leave you wanting another. Go ahead and enjoy; with only 130 calories in every bar, your taste buds will thank you. Brown Rice Flour, Organic Sugar, Organic Molasses, Salt, Calcium Carbonate), Organic Olive Oil, Less than 2%: Vegetable Glycerin, Organic Honey, Vanilla Extract, Triple-Filtered Water, Red Wine, Organic Beet Powder, Natural Almond Flavor, Organic Grapeseed Oil. 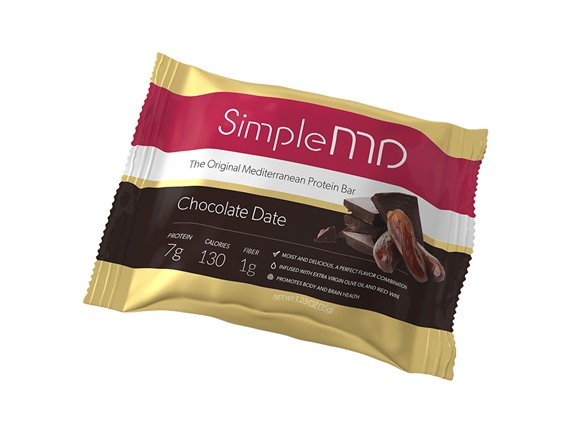 A classic combination of sweet dates and milk chocolate, with a red tint from the wine. 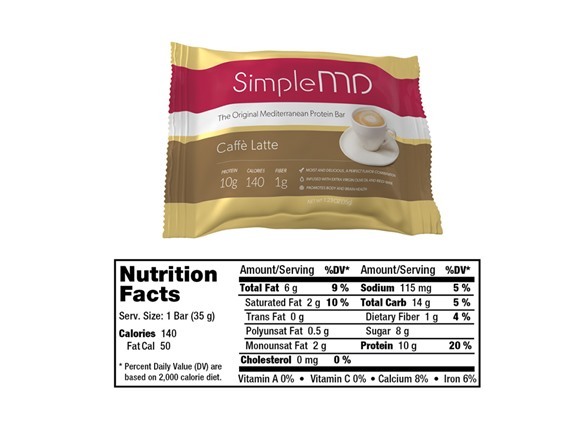 A perfect “anytime snack” packed with 7 grams of protein, 1 grams of fiber, and only 130 calories. Made with extra virgin olive oil and Italian red wine. Gluten-free, GMO-free and kosher. 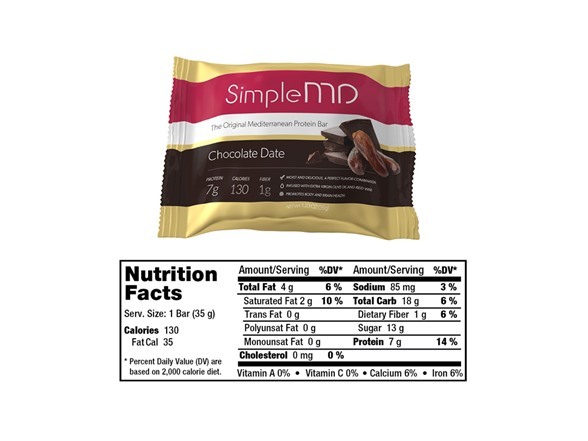 Ingredients: Organic Dates, Protein Blend (NON-GMO Soy Protein Nuggets (Soy Protein, Tapioca Starch, Salt), Dried Egg Whites, Kosher Fish Gelatin, Milk Protein), Corn Syrup, Dark Chocolate Flavored Coating (Sugar, Vegetable Oil (Palm Kernel, Palm Oil), Cocoa (Processed with Alkali), Non-Fat DryMilk, Soy Lecithin, Vanilla), Almond Sliced, Confectionary Sugar, NON-GMO Organic Brown Rice Crisps (Organic Brown Rice Flour, Organic Sugar, Organic Molasses, Salt, Calcium Carbonate), Fiber Blend (Digestion Resistant Maltodextrin, Kale Powder, Methylcellulose, Flaxseed Meal), Less than 2%: Organic Olive Oil, Vegetable Glycerin, Organic Honey, Vanilla Extract, Triple-Filtered Water, Red Wine, Organic Beet Powder, Organic Grapeseed Oil.